Join us for a 40-day meditation challenge! I simply roll out of bed and sit on my bedroom floor on a bolster with blocks under my knees, looking out over the backyard. Then I close my eyes and sit silently for 15 minutes, while counting my breath using mala beads in my right hand. I love that twice around the mala beads is 15 minutes, so I don’t need to be interrupted by an alarm. I have found that by finding a format that works for me has been hugely beneficial in making the experience a joy instead of a struggle. My goal for December is to practice meditating every morning so that it becomes a daily habit for 2015. What works for you to practice daily meditation? 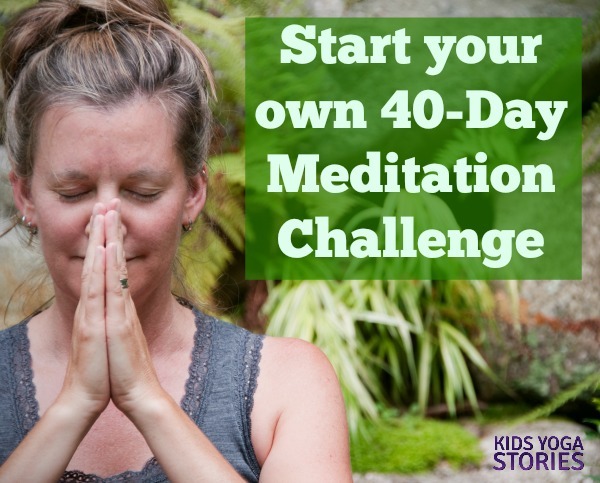 Start your own 40-Day Meditation Challenge to sit silently for 15 minutes each day. How am I living a healthy lifestyle? How am I living my passion? This year, I teamed up with a group of mommy bloggers, and we all wrote our monthly goals in hopes of inspiring you to write yours, too. Please continue to tell us your goals and share your successes and failures. Socialize with local families at least once a week. Phone a close friend and my mom at least once a week. Take weekly “me time” breaks, especially to read. Enjoy the holiday season with my husband and daughter. Practice meditating for 15 minutes per day for our 40-day Meditation Challenge. Attend one to two yoga classes per week at a nearby yoga studio. Jog around our neighborhood four times a week. Figure out how to keep up the exercise in the cold weather. Go for weekly nature hikes with my husband and daughter. Eat healthy, fresh, whole food. Continue with the production of our next yoga books: 123 African Safari, Sophia Explores the Ocean, and Jenny’s Winter Walk. 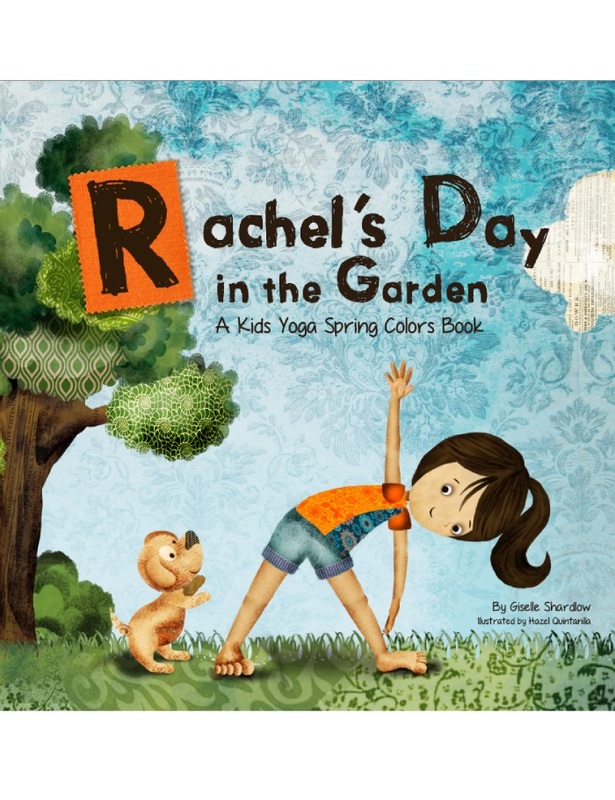 Organize a pre-release of Rachel’s Day in the Garden and Ella’s Summer Fun. Finalize our next 50-yoga card deck. Share the Monthly Yoga Pose Challenge with a focus on Cobbler’s Pose. Share our second Monthly Theme project on Kindness. As always, I would love to hear your feedback. 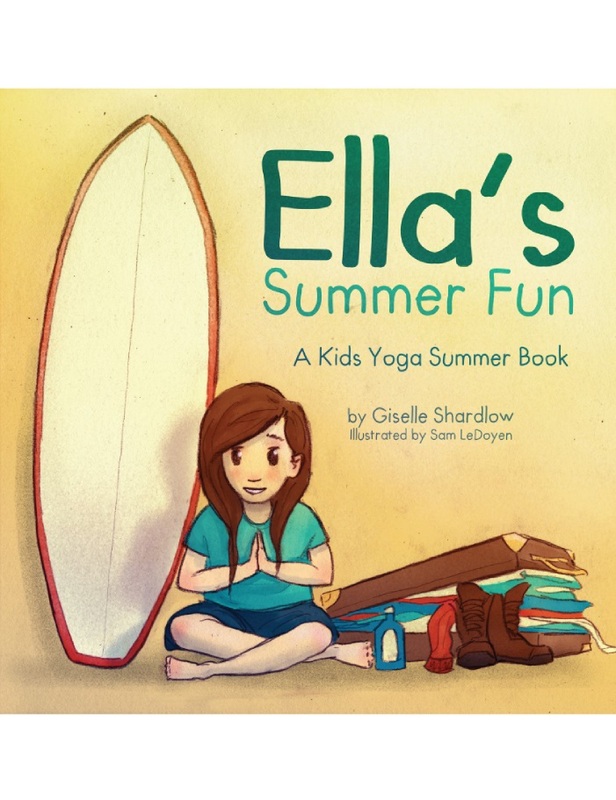 Please e-mail me at giselle at kidsyogastories dot com with your suggestions for improvement, either for the yoga stories or website. Help me deliver high-quality content that assists you with bringing global education, health, and happiness to children everywhere. What is your theme for December? What do your mind, body, and spirit need right now? Who is your accountability partner (someone who helps keep you on track with your goals)? What makes you happy? Will you join our 40-day meditation challenge? Great goals! Your books about Rachel and Ella look lovely (love those names, too). 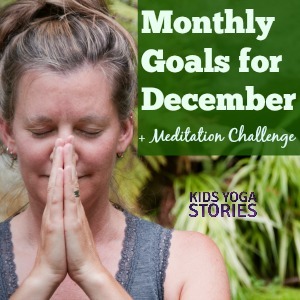 Thanks, MaryAnne, for hosting this monthly goal series. It’s rewarding to look back over the year and see how much has happened and how we have grown.